The purchase or sale of a home is one of the biggest investments and challenges in our lives. But with the right guidance, you can get pretty close to it being painless (just ask one of my past clients). Whether you are in the process of vetting a few Realtors (as you always should), or are just starting in your search, here are some key traits to look for in a Realtor to maximize your home sale or home buying success. 1. Select a Realtor who is a Full Time and Full Service agent. ‘Full Service’ means that this person is fully dedicated to working in this profession and servicing his/her clients whenever they are in need. They will be experienced with the many challenges of buying and selling and best prepared to resolve problems during negotiations, inspections, as well as general home concerns that occur after purchase. 2. Select a Realtor with passion, enthusiasm, and dedication for their profession and clients. A Realtor with passion and dedication for their job will be the one that goes the extra mile to get you the best results. 3. Select Someone who knows your market of interest. 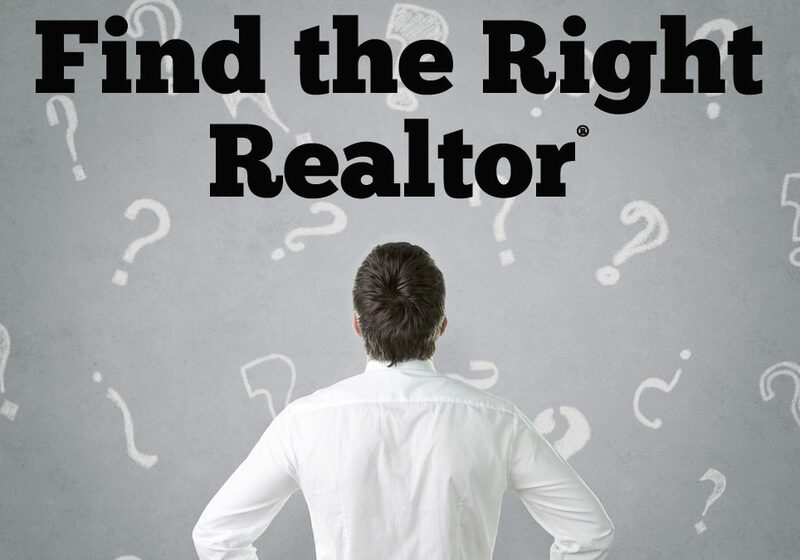 Your Realtor’s knowledge is key and can save – even make – you money. Get someone who really knows your marketplace. Select a Realtor with a recent successful record behind them, preferably one with success in your neighborhood. 4. Select a Realtor who is creative and can devise unique problem solving strategies . Look for someone who can create offers to purchase a property with terms and conditions that excite a seller and work well for the buyer. Look for someone with good problem solving techniques. There are always conflicts, surprises, and changes during an escrow that require calm, knowledge, and experience to keep things going. The professional you choose should be savvy with the “new toys” and current technologies that enable a Realtor to perform better. If one is not current with these advances, they can be slower to obtain information and communicate it to a buyer or seller. This could cost the client in the end. It could be hard to find a good contractor, but an experienced Realtor will have one they’ve worked with on many occasions, who has also proven themselves to be honest, reliable, and affordable. They will also have inspectors to address nearly every homeowner’s concern. Before remodeling, ask your Realtor to recommend a good interior designer. Sometimes a consultation is all you need to save money and get great ideas. When an agent is liked, other agents try to make a deal work because they enjoy working with people they trust and have good rapport with. This is a definite advantage to the client whether they are a buyer or seller. If the agent sold a home, it should have their name on the MLS Agent Detail Report, including the price at which the home sold. Be sure to check it out. It is imperative to select a Realtor that understands you. One that you respect and feel comfortable sharing your thoughts and concerns with. There needs to be a level of trust or the client will not experience the full benefits of having an experienced and knowledgeable Realtor. Buyers and sellers alike need an honest agent who will tell them like it is, even if the things being said are not easy to hear. The best agent will lay out exactly what the seller can expect, from prices, to timing, etc. The real estate market is time sensitive, so you need an agent who will let you know quickly where you stand with your buying/selling situation, so that you can move on quickly if necessary. In the end, honesty will save you lots of worry, not to mention money. If you would like additional commentary on real estate and the concerns of buyers and sellers, give me a call (or text or email), or catch up with me on Facebook, Twitter, or Instagram!